The Camera Obscura is a simple and ancient means of projection. Historically used to facilitate drawing, a pinhole aperture allows light through to create a flipped image of a scene. projected into a darkened room- a moment of inversion of inside and outside. Casa Obscura takes the mechanism of an inverted panorama and gives it a form. 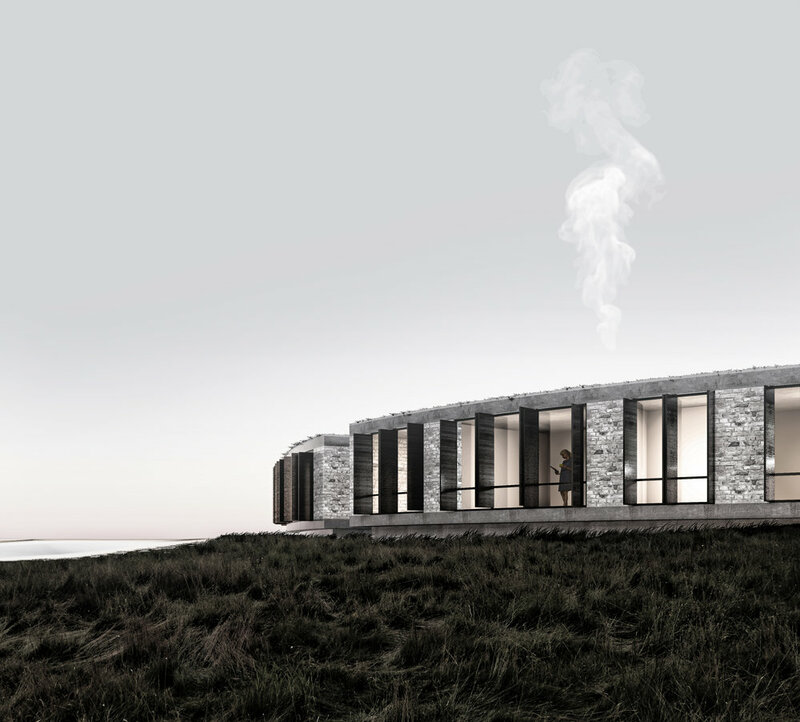 The project is an arrangement of stone cabins, adjacent to Myvatn Lake, which permit a panoramic view of the Icelandic landscape, unobstructed by one another. A monumental, stone and turf architecture consistent with Icelandic building tradition is, in this interpretation, a project that will age with the landscape and have a sense of permanence and belonging. All program is organized into this radial plan- northern facing bedrooms welcome the entire range of the Icelandic landscape, including the northern lights. This outer circle offers privacy by means of its outwardness- dark wooden shutters enclose every window, and when shut, the parlor trick of the camera obscura projects the-live- image of the Icelandic landscape onto the back wall of every bedroom.